Trend Alert: Sonya Battla Works the All Seasons Dip-Dye Trend! We love trends that work all year round and the latest one on our radar is the classic 70’s dip-dye redefined for fall. We noticed it at the fabulous new Sonya Battla store recently opened near Xanders in Karachi and cool new versions spattered across the S/S14 and Resort’15 runways of Burberry Prosrum and Bottega Veneta among others. Sonya Battla executes this style best with her signature bohemian flair that evokes a retro/modern twist. Her clothes are for the confident self assured woman therefore it was no surprise when Xpoze Editor-in-Chief and new Mom Andleeb Rana Farhan was spotted in the label’s effortless dip-dyed short angarkha tunic. The simple fabric trend is easy to play with for fall as it relies completely on a color palette and Burberry uses it wonderfully in their trademark trench coats especially on lace. The concept is an easy DIY trend as well, for starters you could take a classic white Chikankari kurta and dip-dye to any color to suit your mood. Bottega employed it in their flowy soft maxi dresses adding creative bleached out versions while JW Anderson shows you how to transition the technique for winter with multiple dip-dyed knits. Apart from clothes dip-dye is all the rage for extreme hair trends and a more subtle ombré look. Take a look at some of the many fun ways to wear dip-dye with the onset of fall and visit the Sonya Battla store to pick up their limited edition pret now in store! What's in Store? 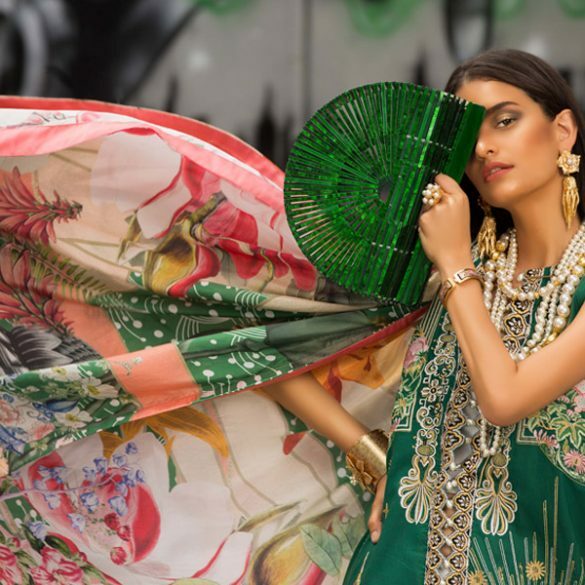 : Hina Mirza Estore Introduces Statement Jewellery! What's in Her Closet? : Anusheé Hashwani of Royal Spades London!